Setting up the frontpage Documentation. 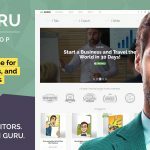 By default the frontpage comes with blogroll. For settings up the frontpage like on demo, please, follow instructions. Skip this step if you’re using a dummy content from demo site. 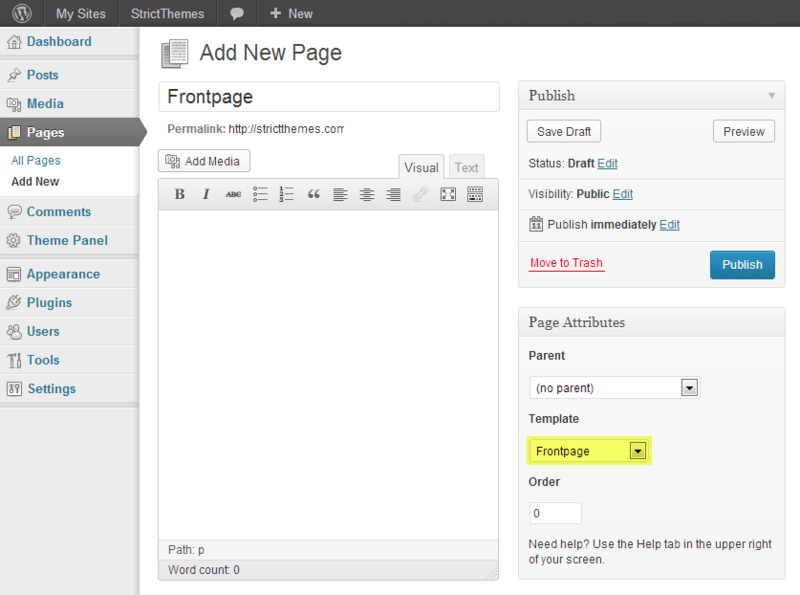 Create a new page Pages > Add New based on the Frontpage -or- Blog page template depends of theme concept. Warning! 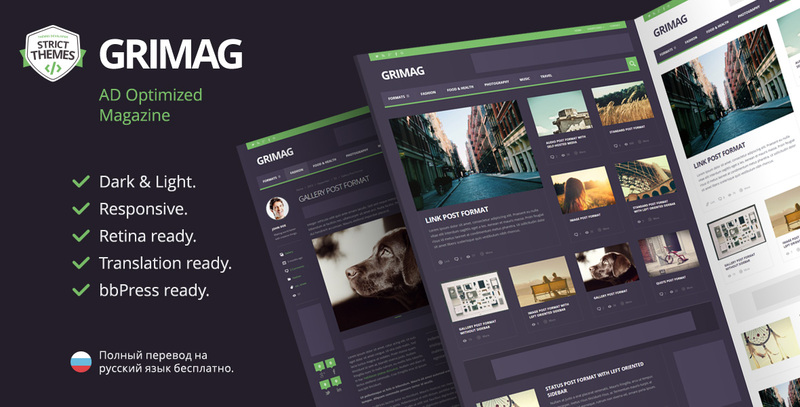 You have to select the Frontpage -or- Blog page template depends of theme concept. 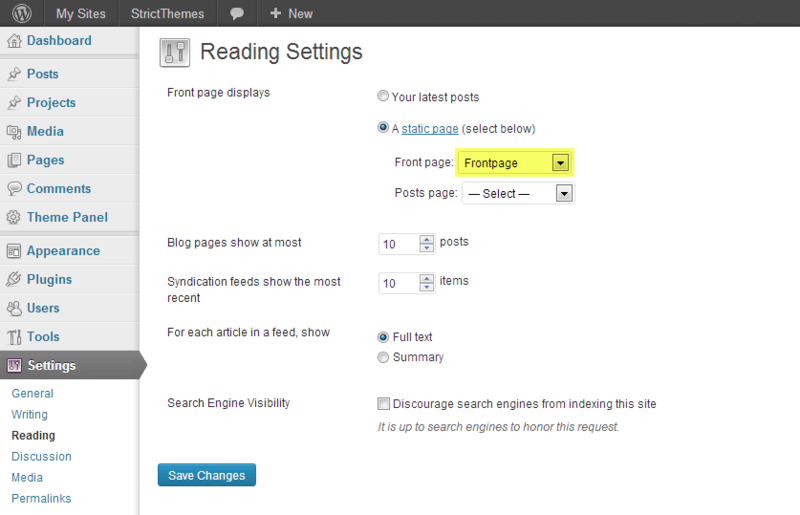 If you didn’t find the Frontpage page template on drop-down list it assumes you should to use the Blog page template. Go to Settings > Reading and set the Frontpage as front page.